Classic Mexican Margaritas are perfect for entertaining year-round. 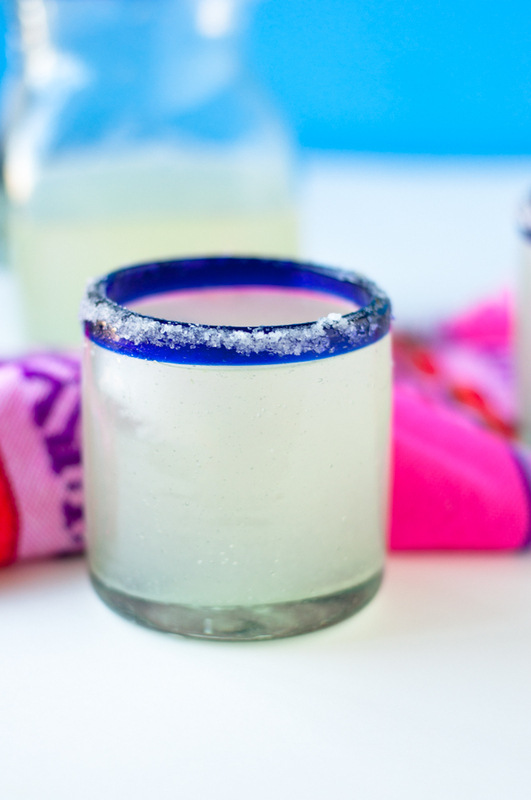 Your guests will love these 4 ingredient margaritas. I am excited to finally be sharing this easy recipe for Classic Mexican Margaritas. These margaritas have become a family favorite since traveling to Mexico for my wedding a few years ago. For my wedding we stayed at Hacienda Las Trancas. Upon arrival we were greeted with the most amazing margaritas and chips and guacamole. Throughout our stay, we had countless pitchers of margaritas. Everyone in the group wanted to learn how to make the margaritas. They were just so good! On our last day, Yolanda the most amazing chef gave the group a cooking lesson. 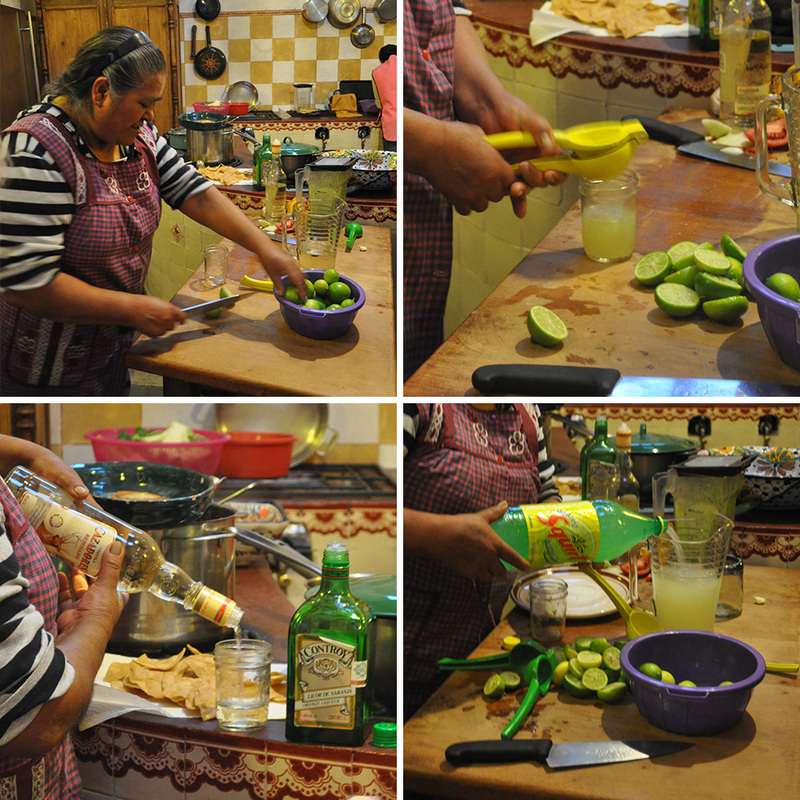 We learned how to make the Classic Mexican Margaritas that we had been enjoying all week long. The margaritas are simple and easy to make. They start with adding equal parts fresh squeezed lime juice, Controy Liqueur, and tequila to a pitcher. Lemon Lime Soda tops off the pitcher. The amount of pop depends on the size of the pitcher. The pitcher that I used for the photos was on the small side, making for some really strong margaritas. I was actually shocked that there was pop in the margaritas. You couldn’t even tell. I try to avoid pop and rarely drink it. I definitely will make an exception for these margaritas. 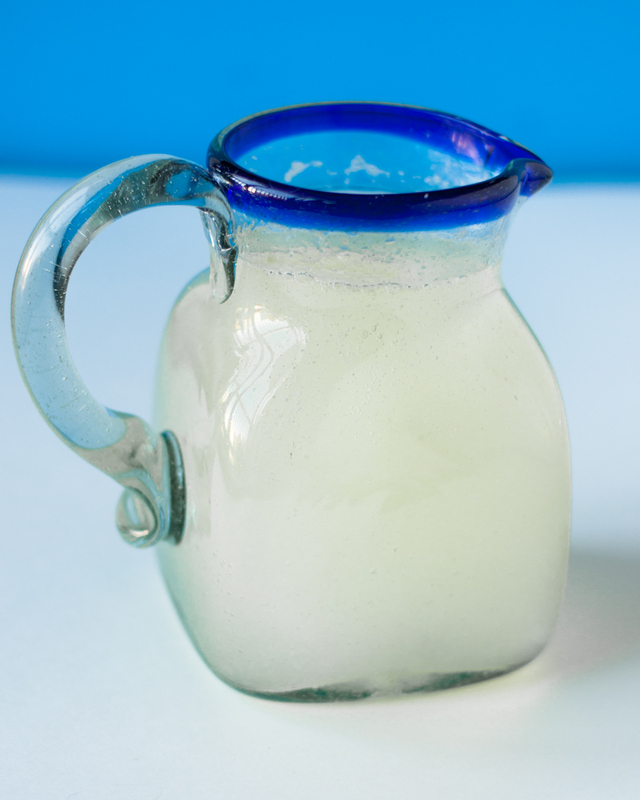 Traditionally Squirt is used for these Classic Mexican Margaritas. I wanted to find a natural and better quality lemon lime soda. I discovered Zevia Lemon Lime Soda. The Zevia Soda is zero calories with no sugar and no artificial sweeteners, Non-GMO Project verified, and Vegan. I really loved the taste of this pop with the margaritas. Feel free to use your favorite Lemon Lime Soda. 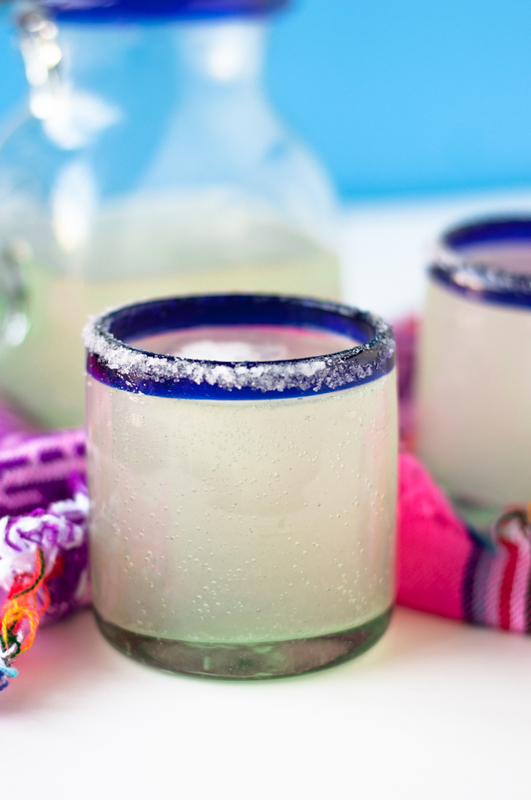 Classic Mexican Margaritas are perfect for entertaining any time of year. Your friends and family will love these margaritas. Watch this video to see how easy it is to make them! In a large pitcher, pour in the lime juice, controy and tequila. Stir. Top off the pitcher with Lemon Lime Soda. The amount of pop will depend on what size pitcher you are using. 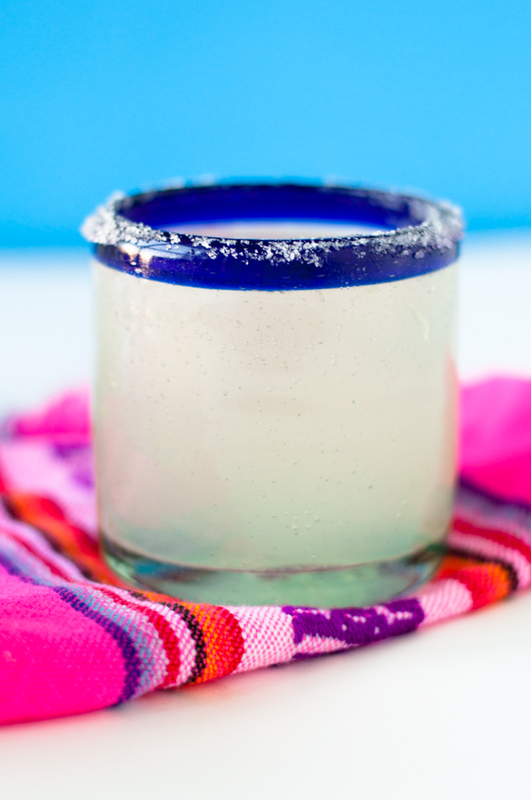 Rub a lime wedge around the edge of each glass and dip the rim in salt. Fill each glass with ice cubes and pour the margarita into each glass.